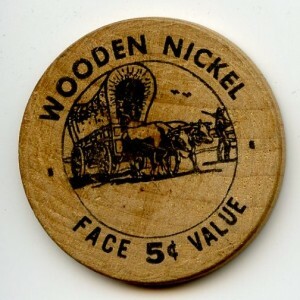 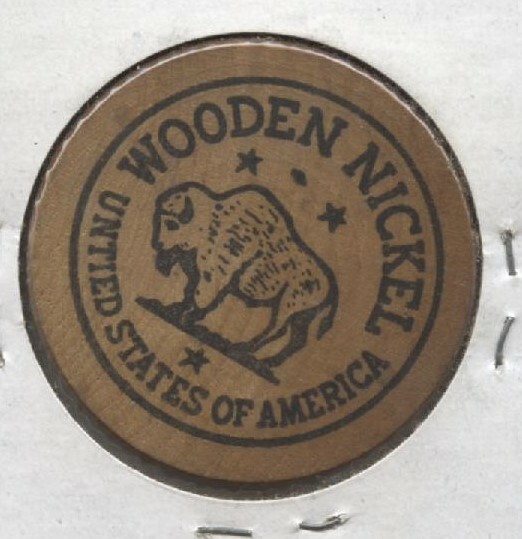 Wooden nickels were most commonly issued in the U.S. in the 1930s, after the start of the Great Depression. 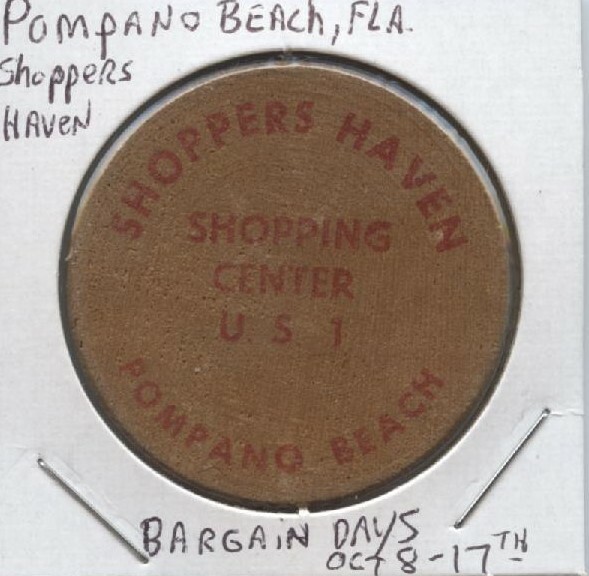 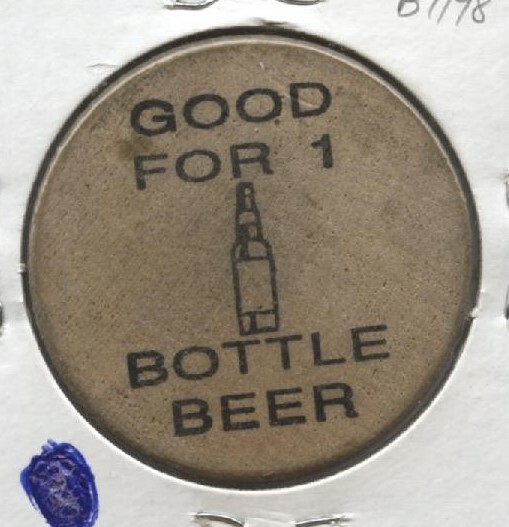 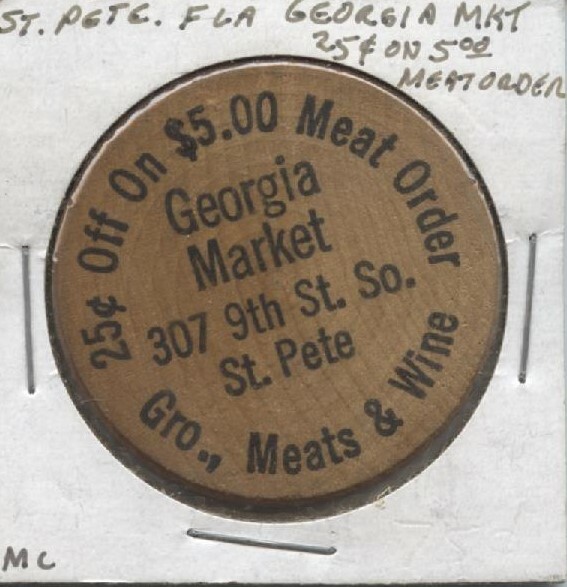 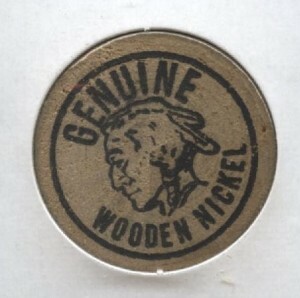 It was during this decade that some banks and chambers of commerce in the United States issued wooden nickels with expiration dates to mitigate difficulties faced by merchants in making change at times of instability. 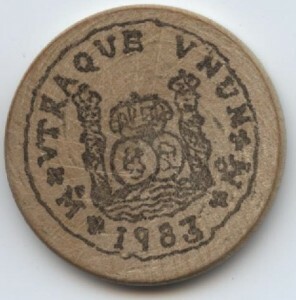 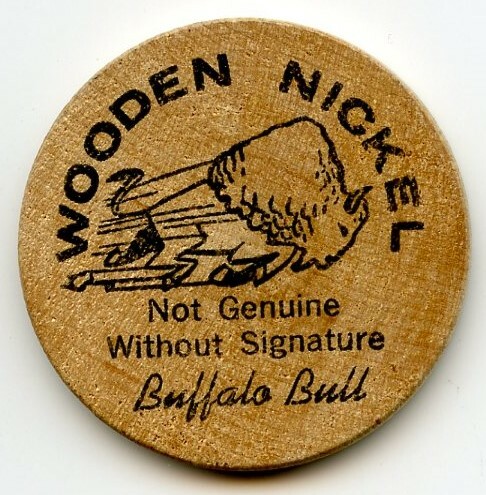 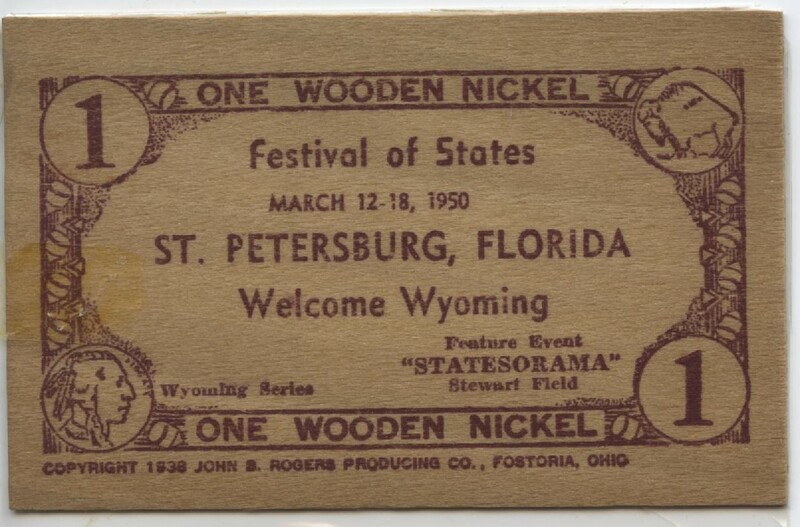 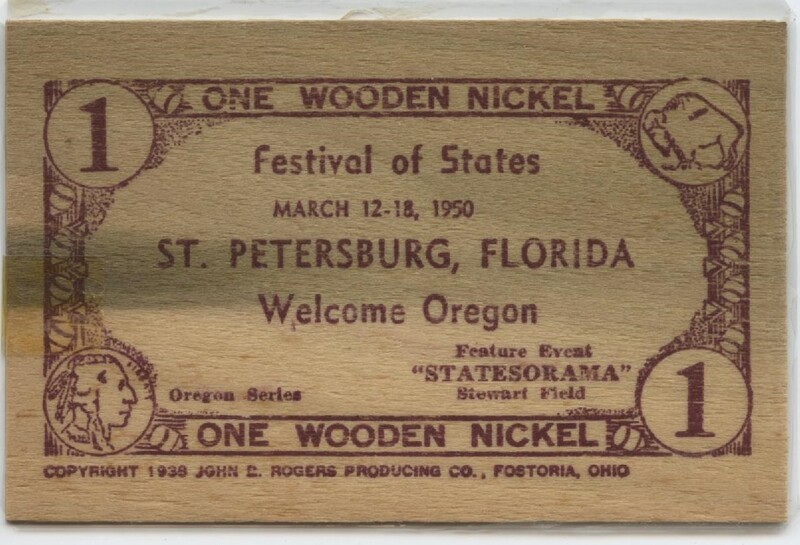 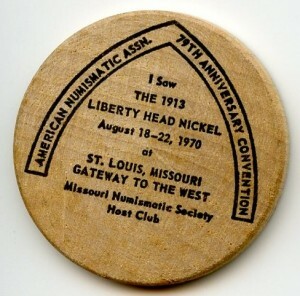 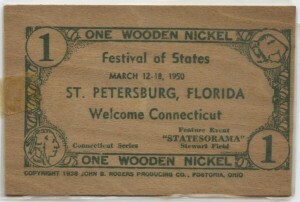 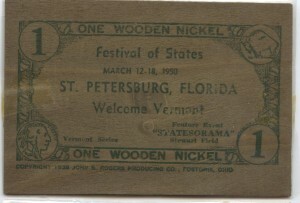 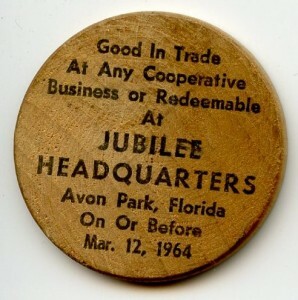 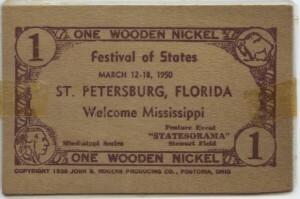 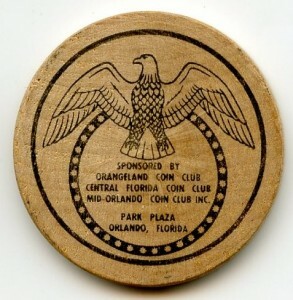 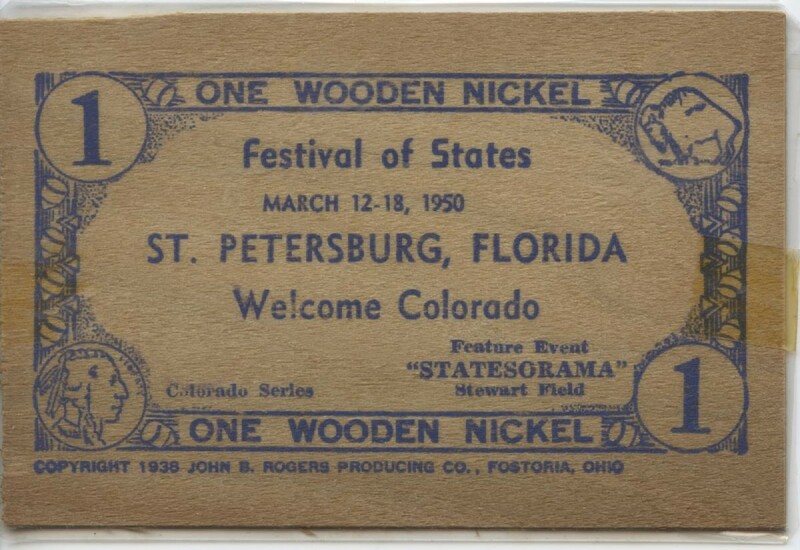 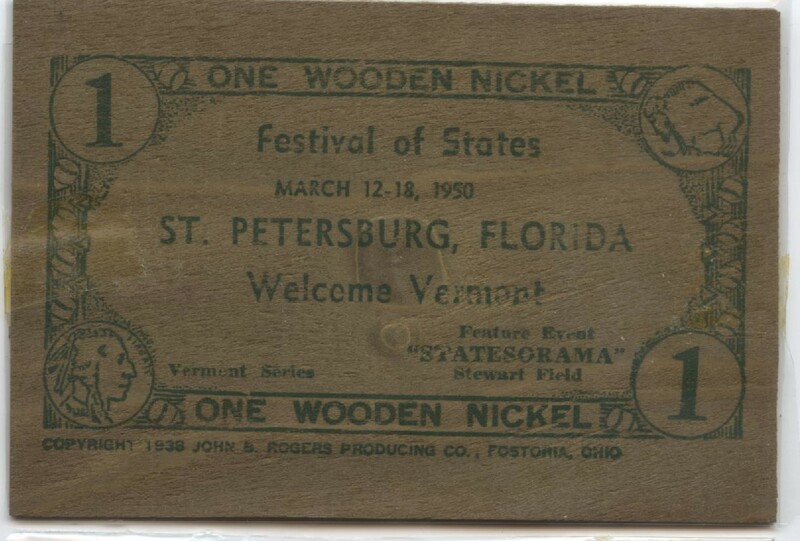 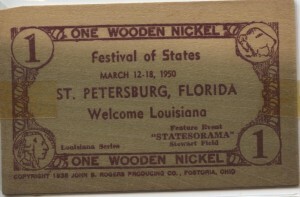 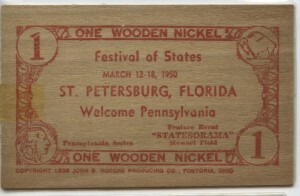 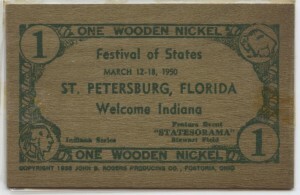 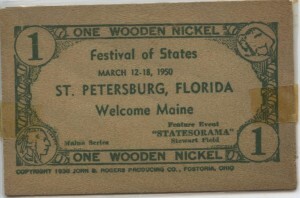 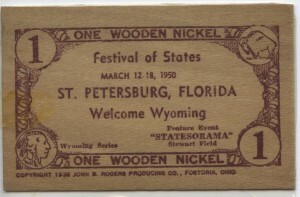 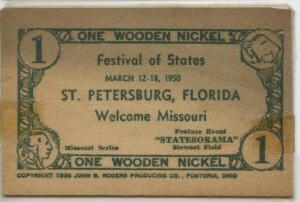 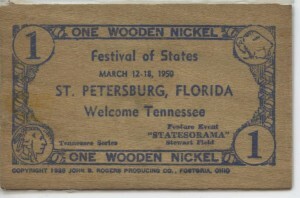 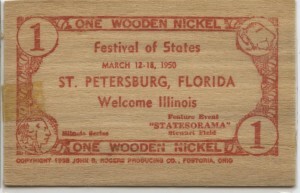 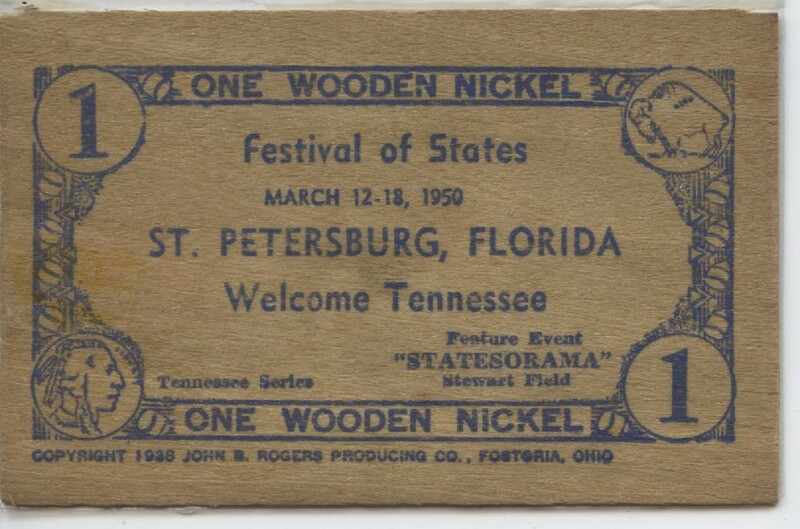 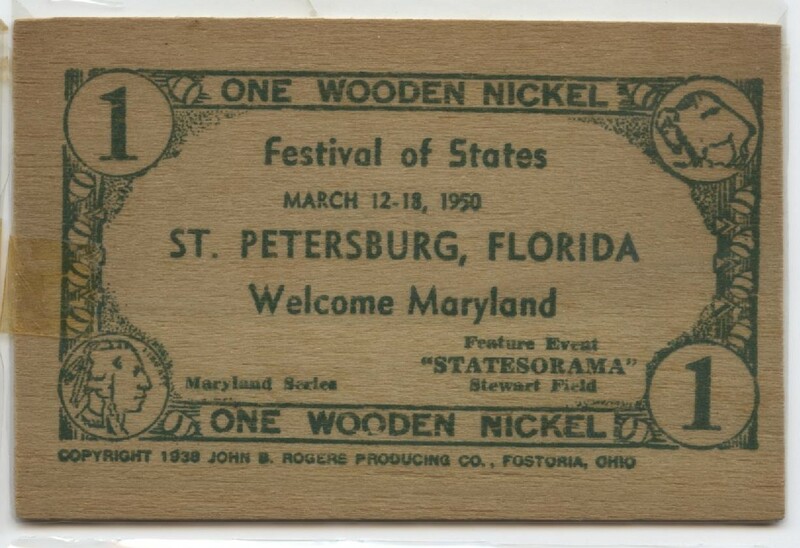 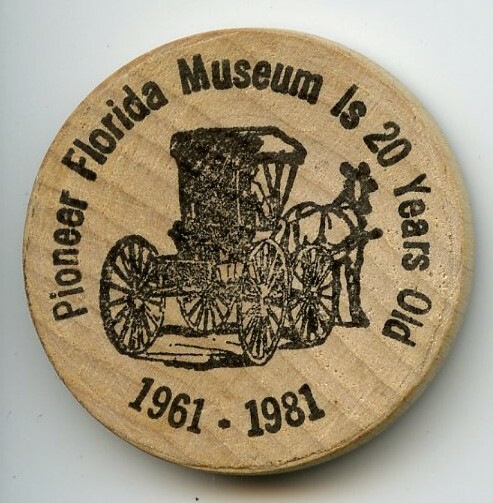 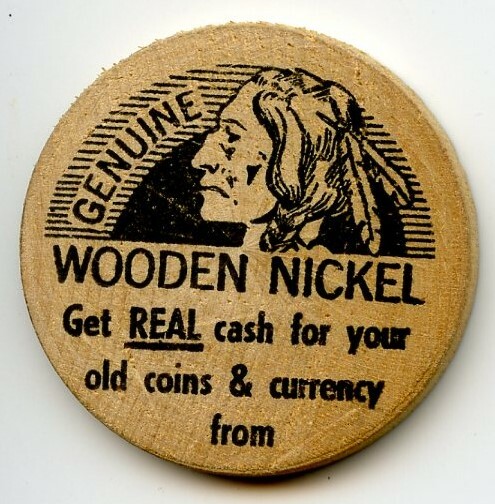 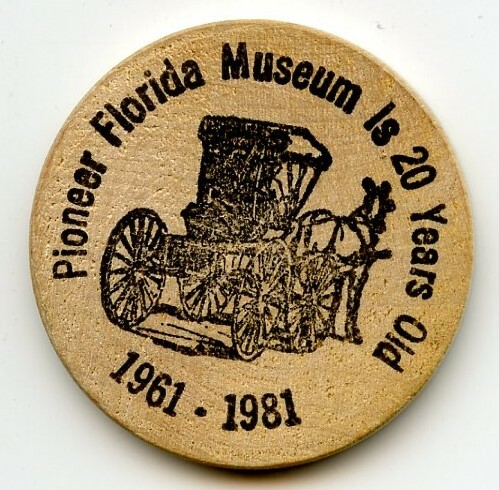 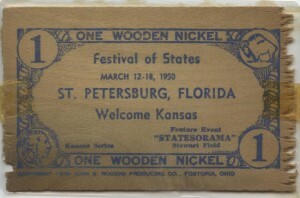 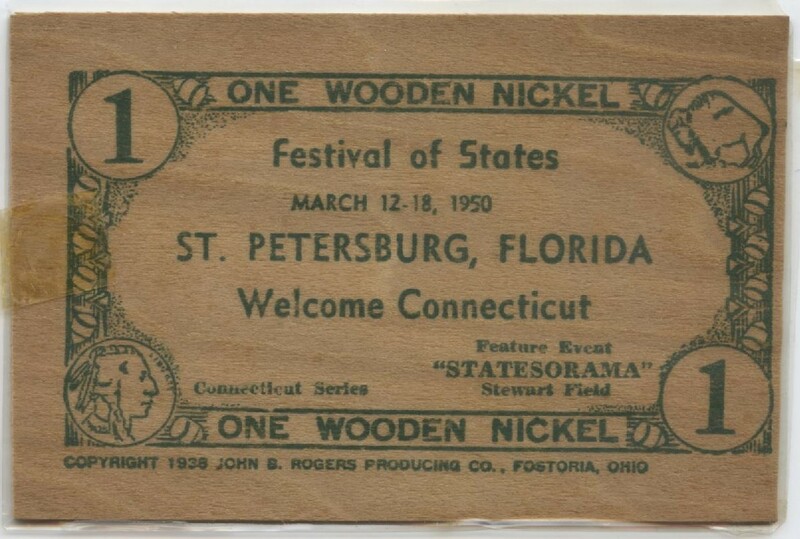 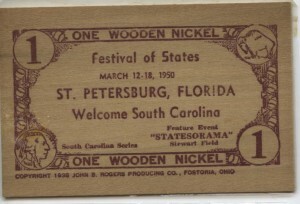 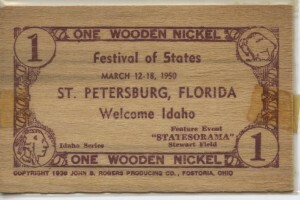 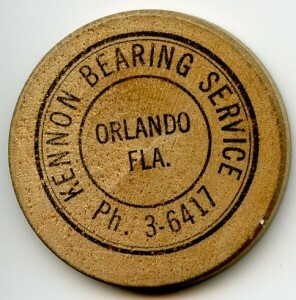 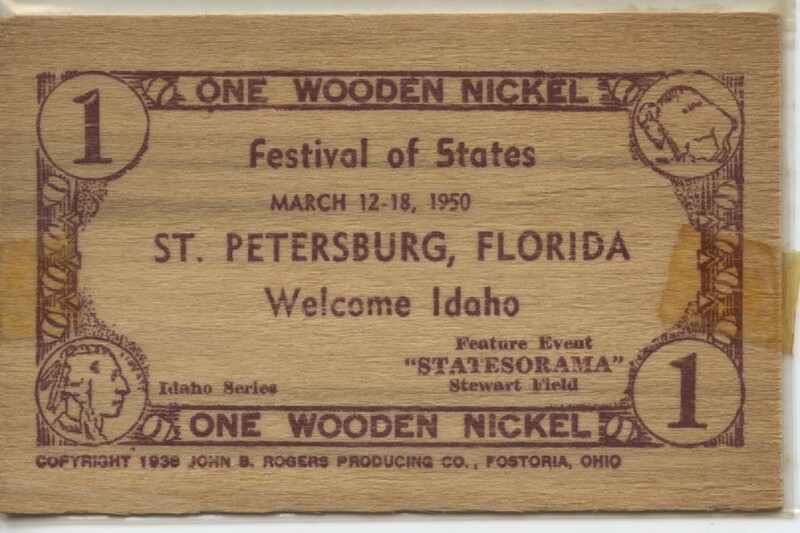 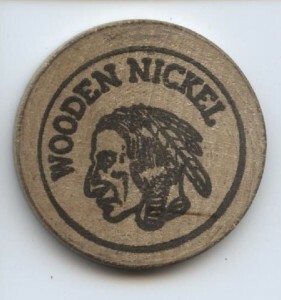 Common views published on the Internet concerning the origin of the wooden nickel are patently incomplete, often making it an innovation of this late date that arose in response to such banking difficulties. 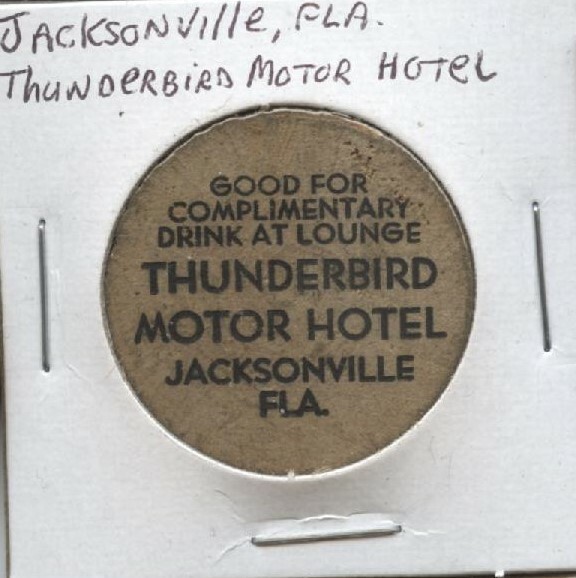 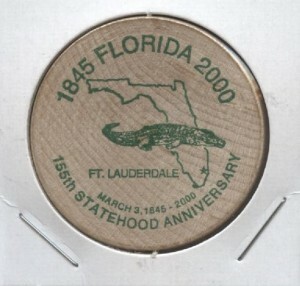 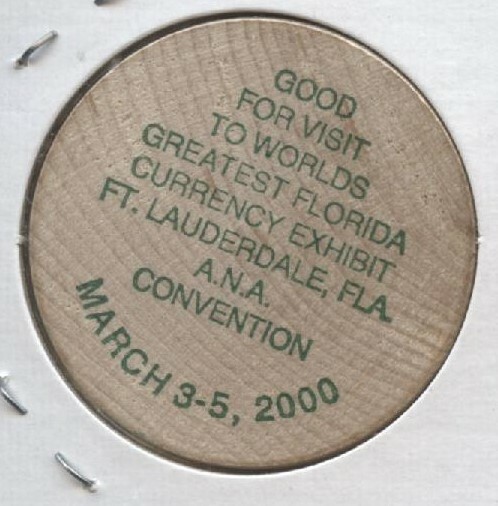 Commemorative nickels are then supposed to be an outgrowth of these legitimate wooden nickels. 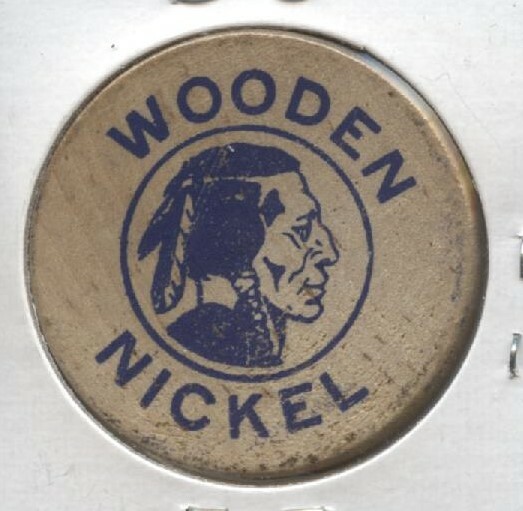 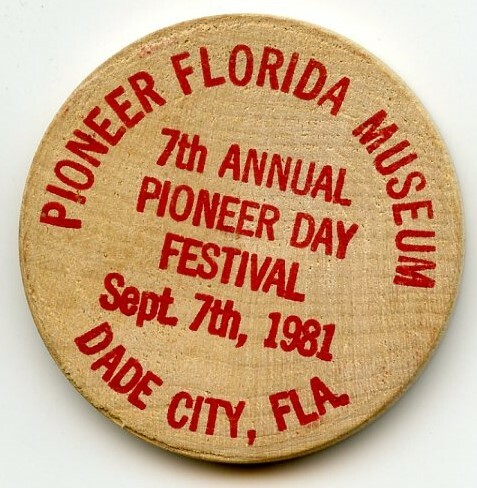 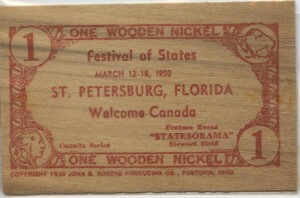 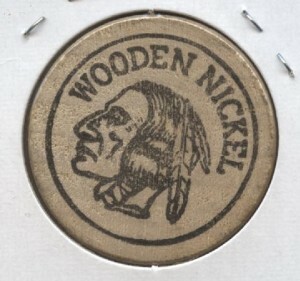 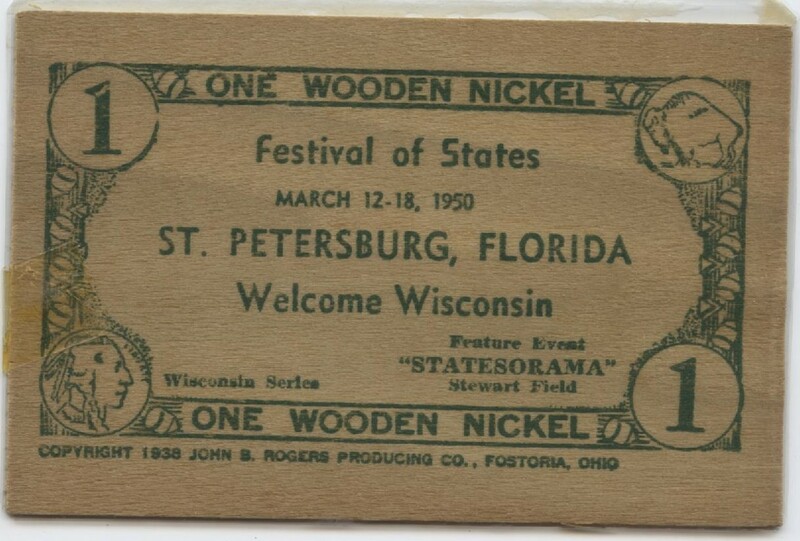 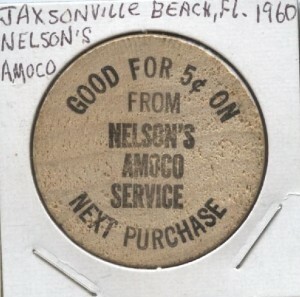 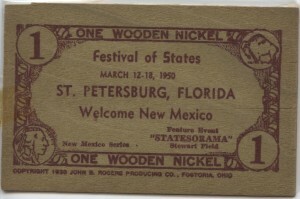 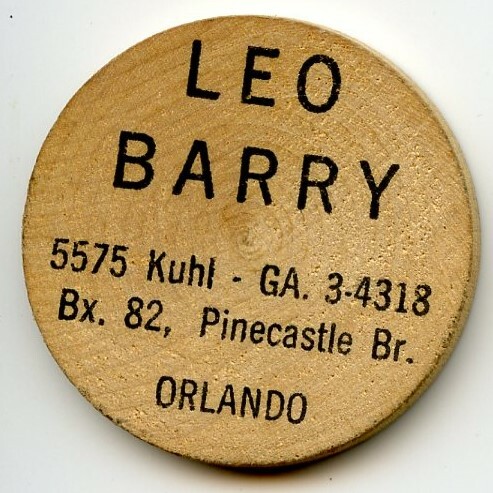 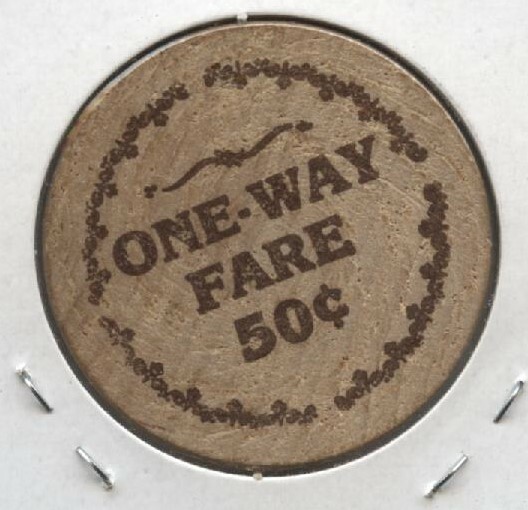 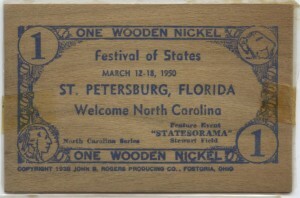 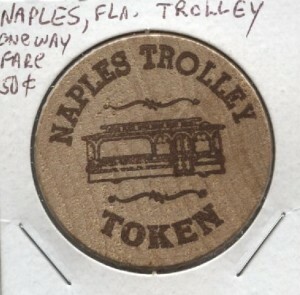 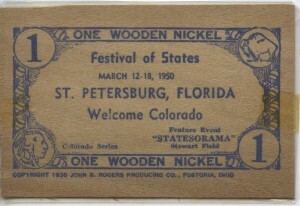 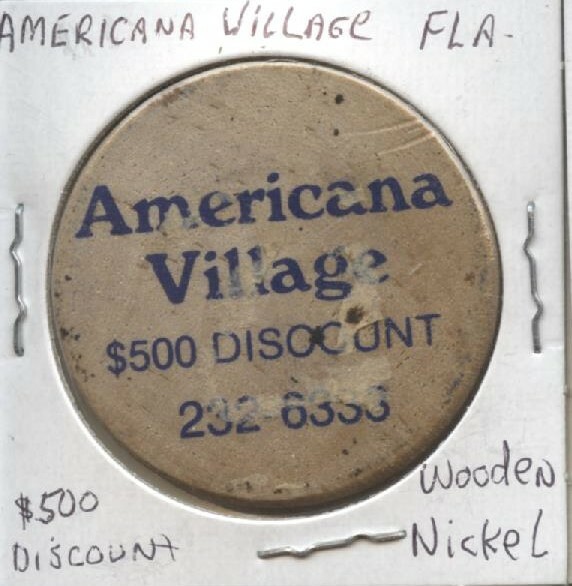 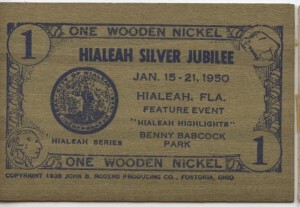 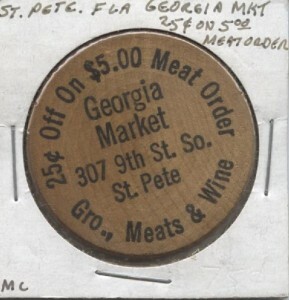 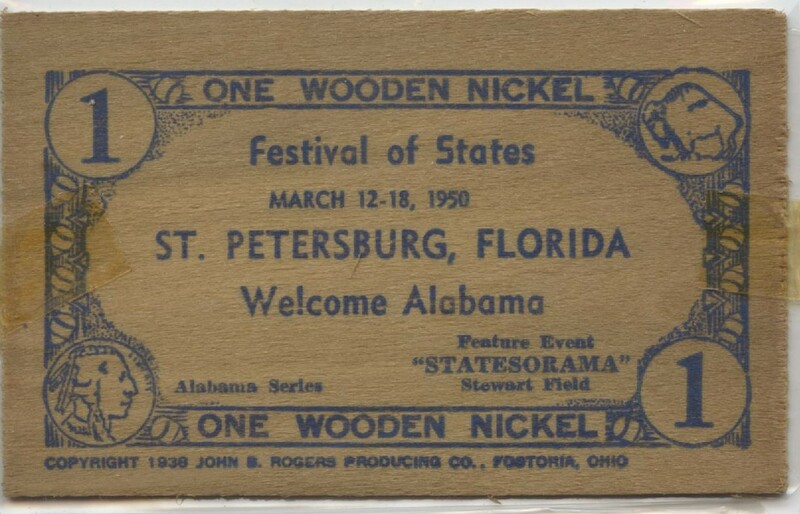 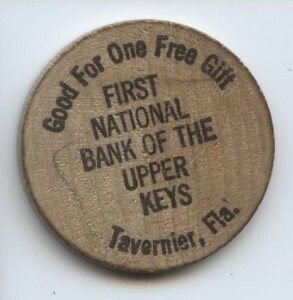 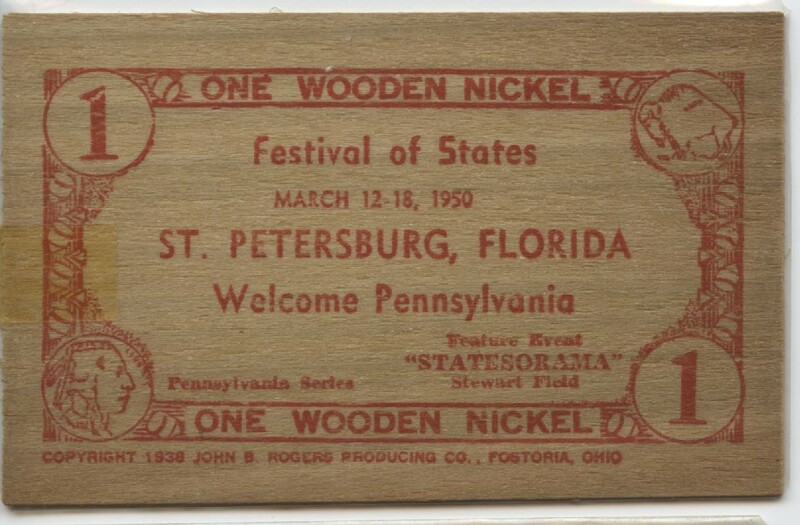 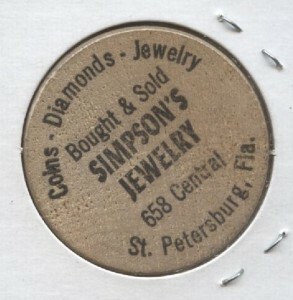 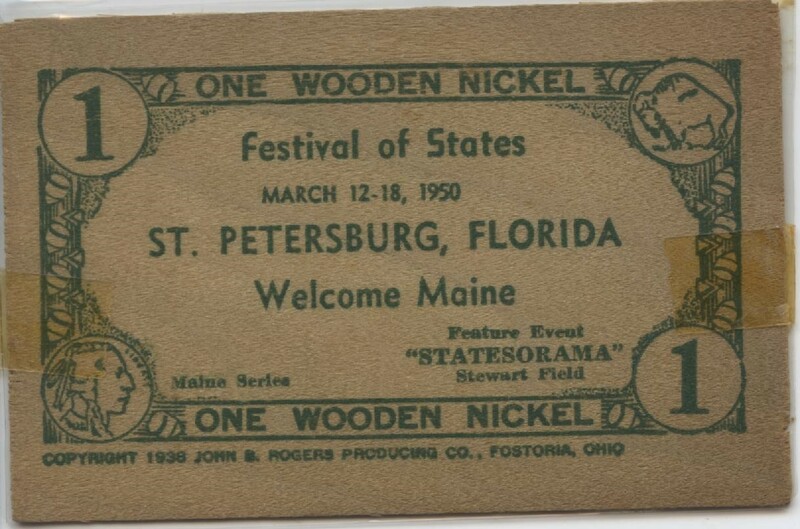 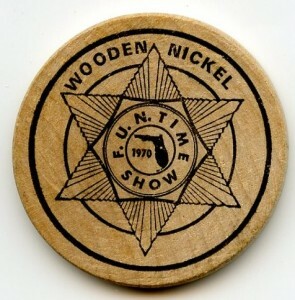 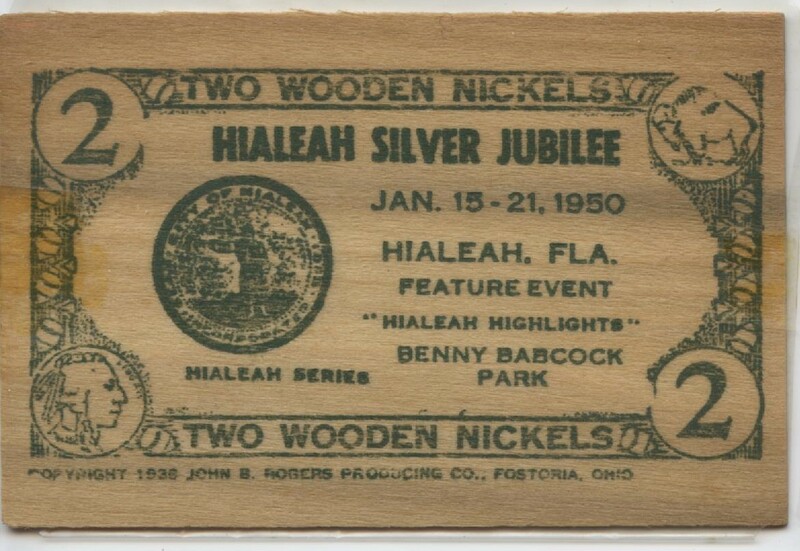 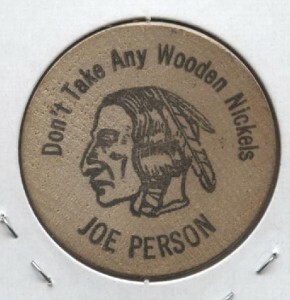 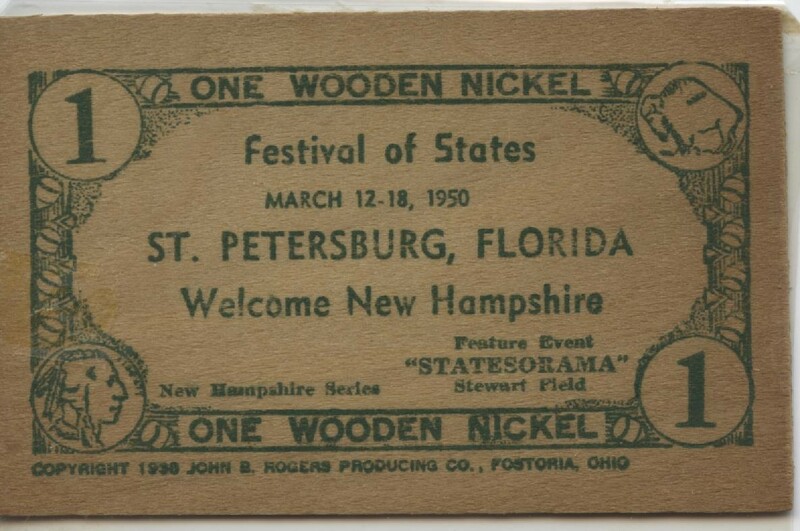 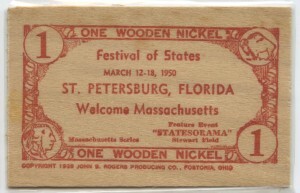 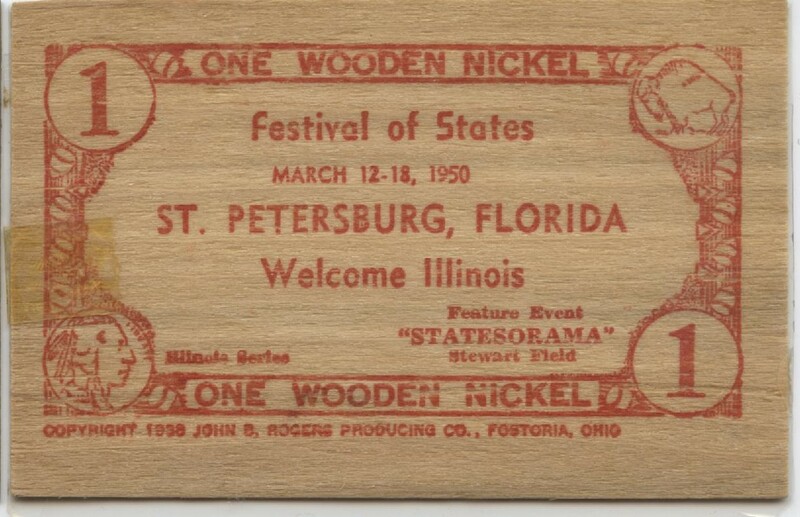 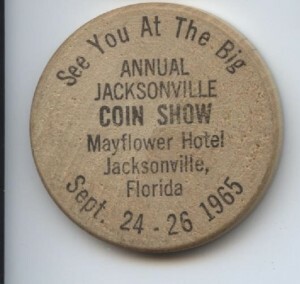 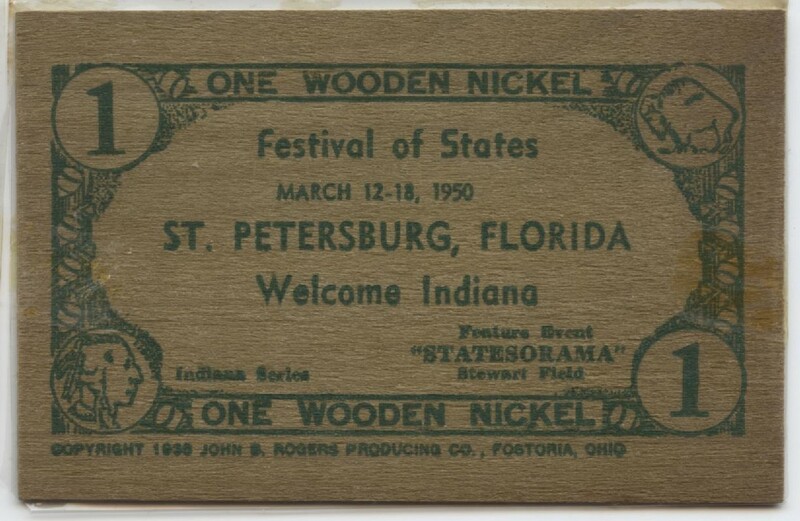 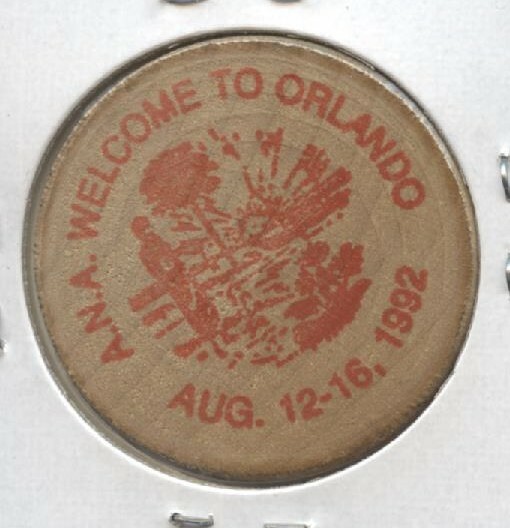 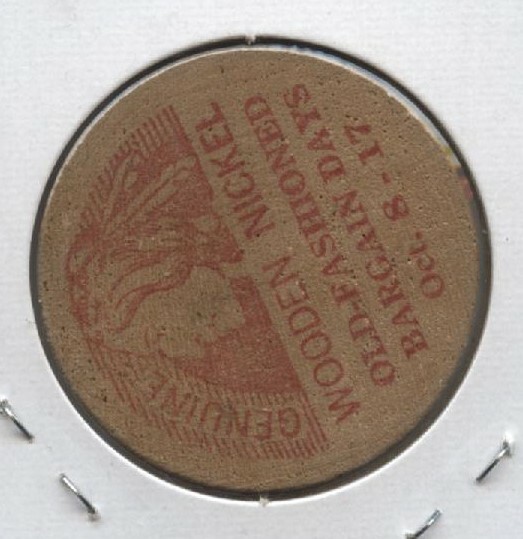 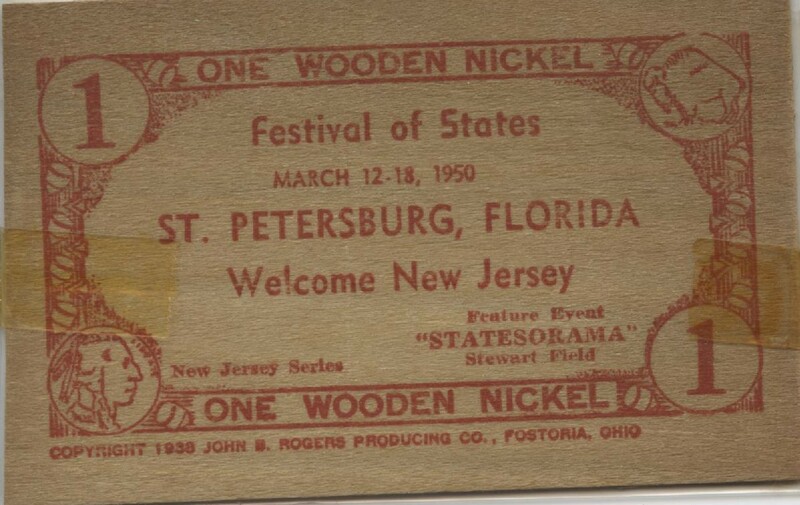 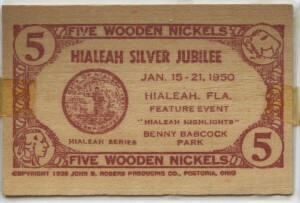 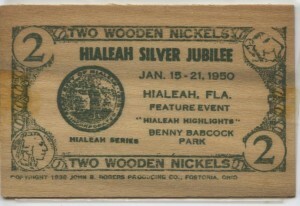 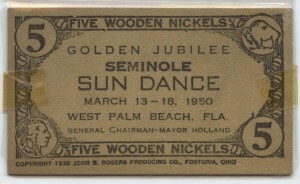 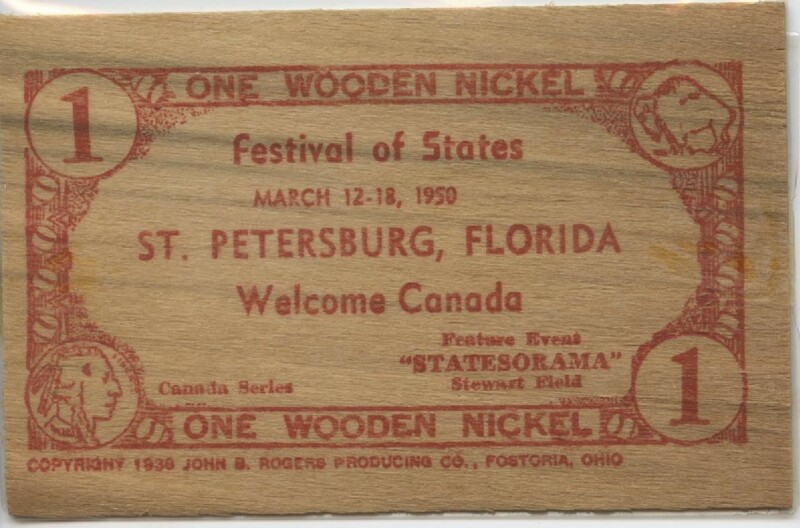 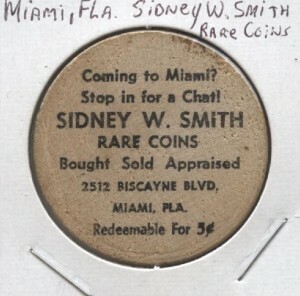 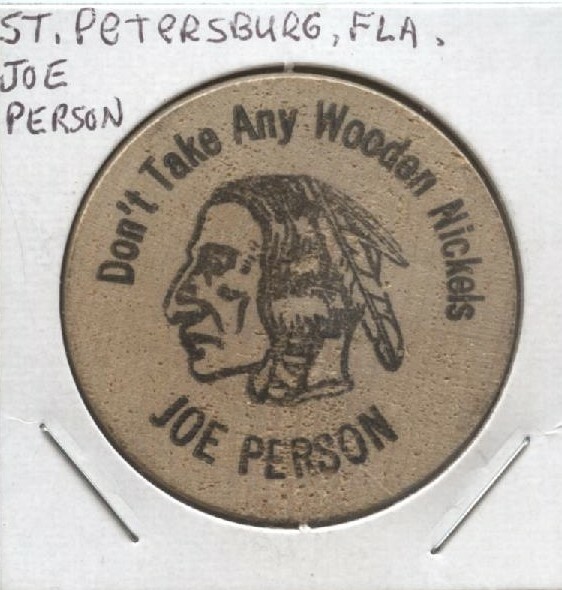 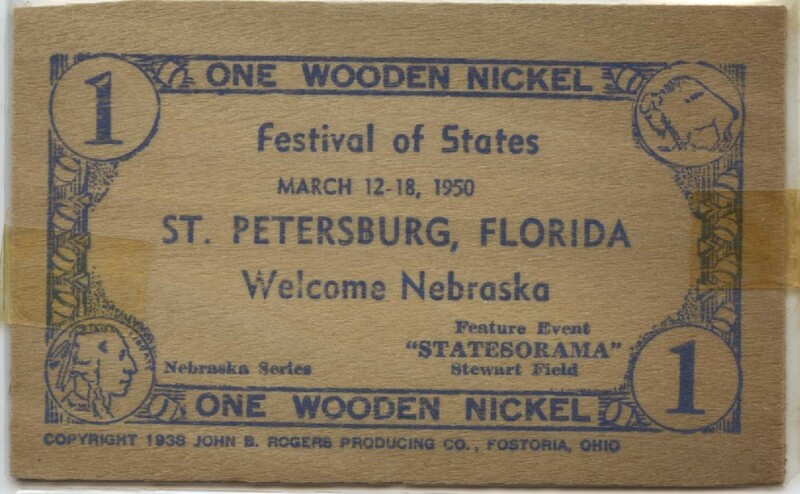 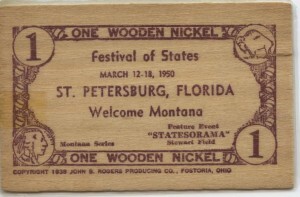 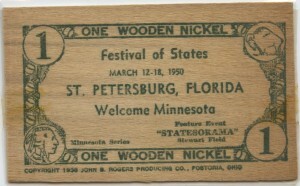 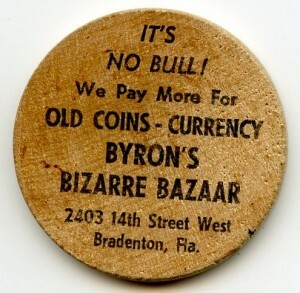 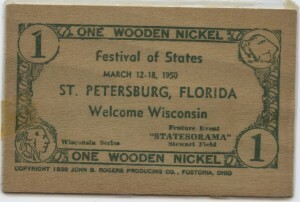 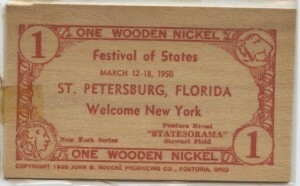 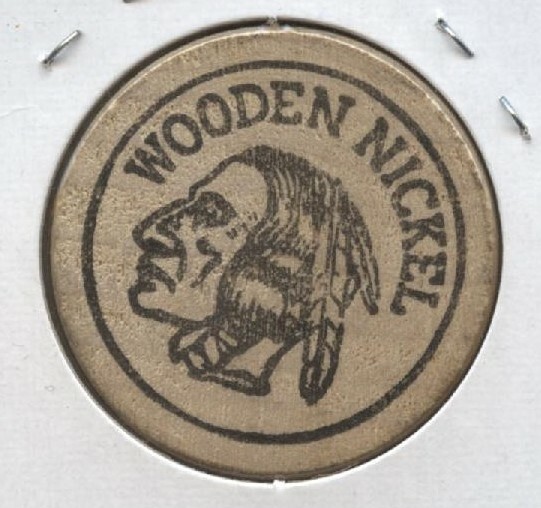 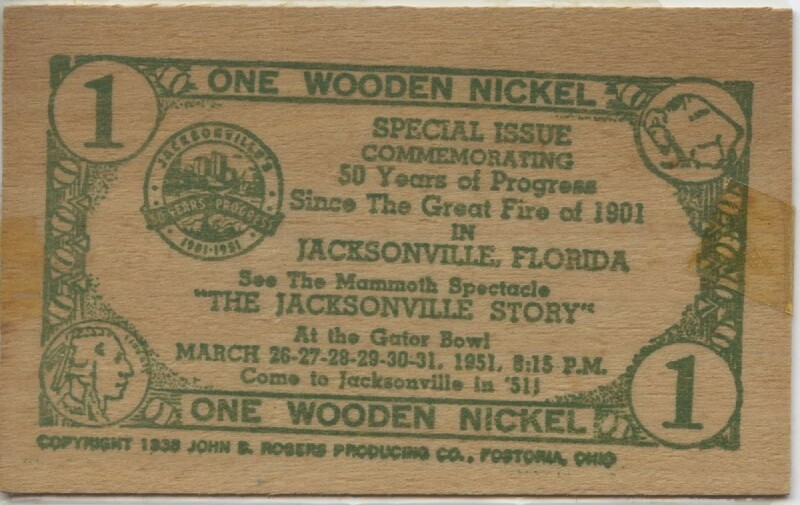 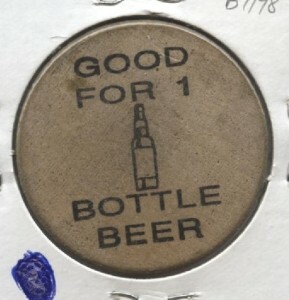 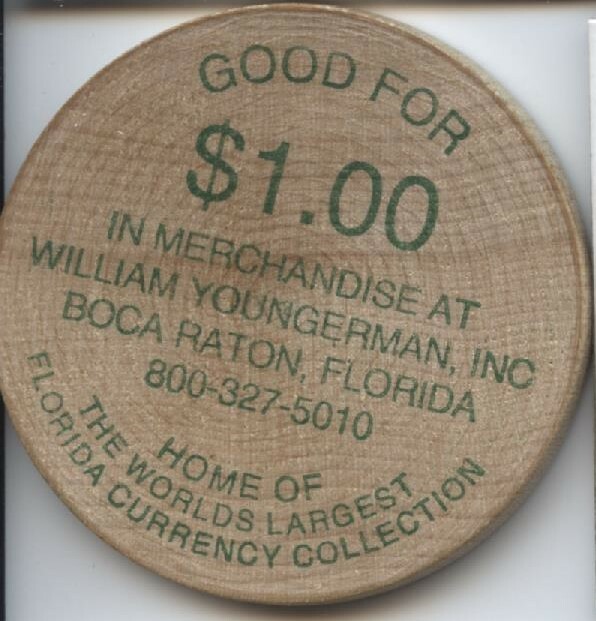 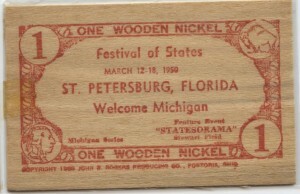 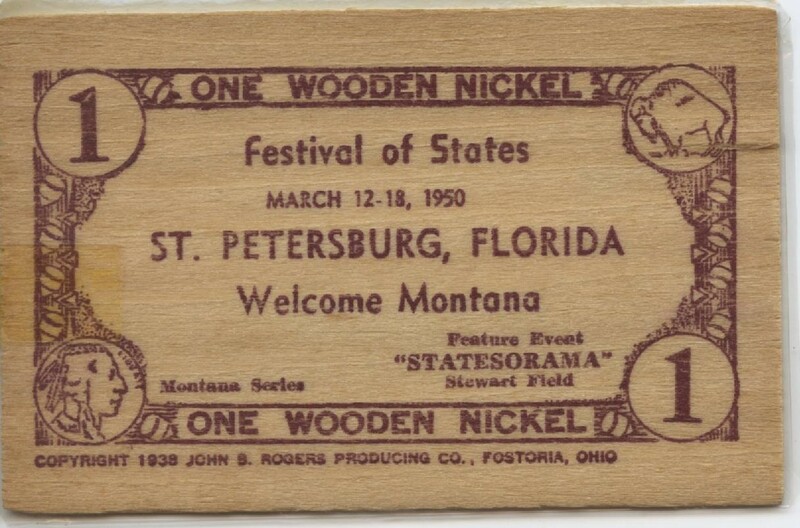 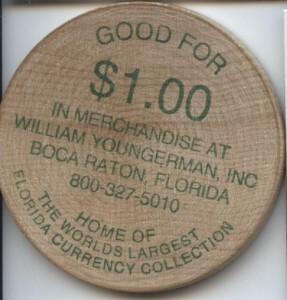 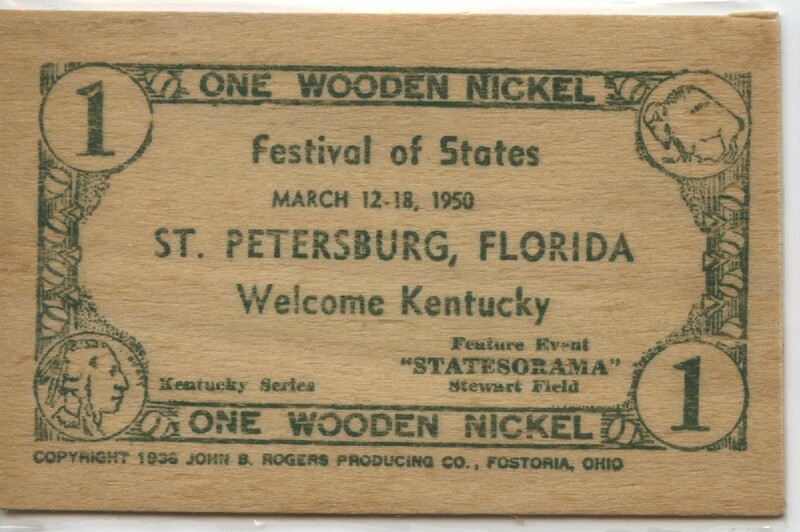 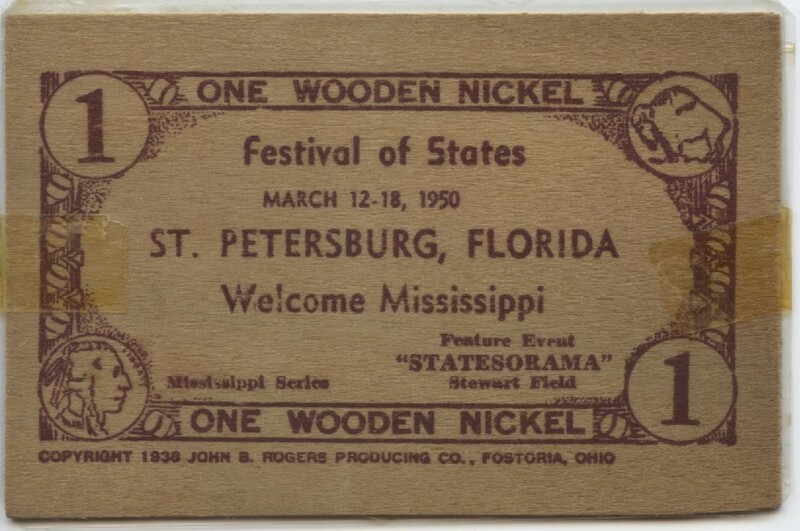 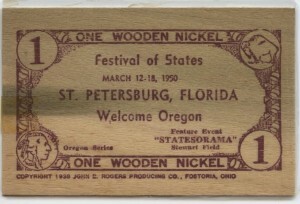 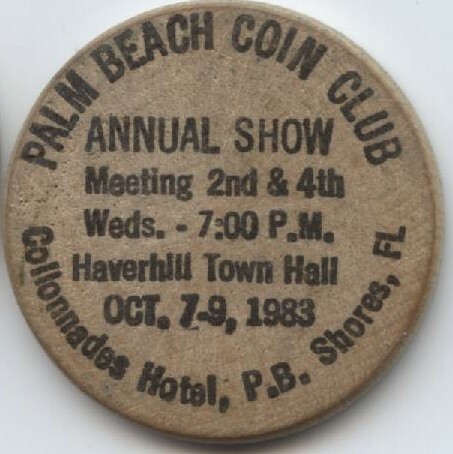 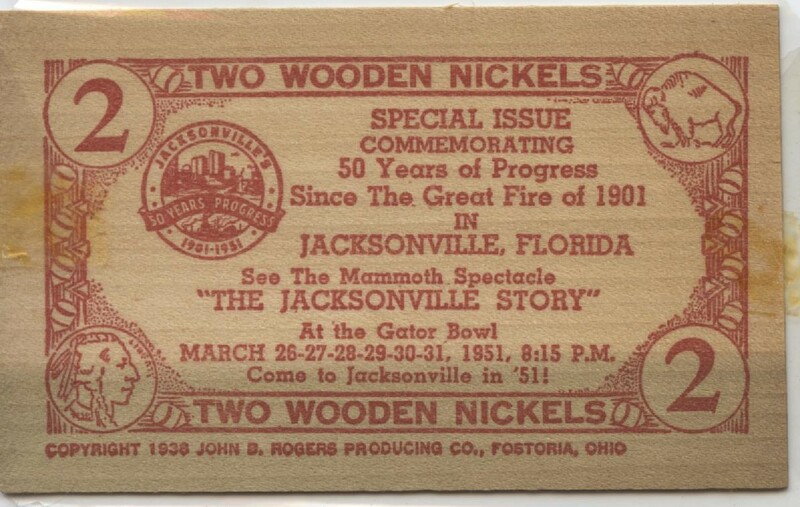 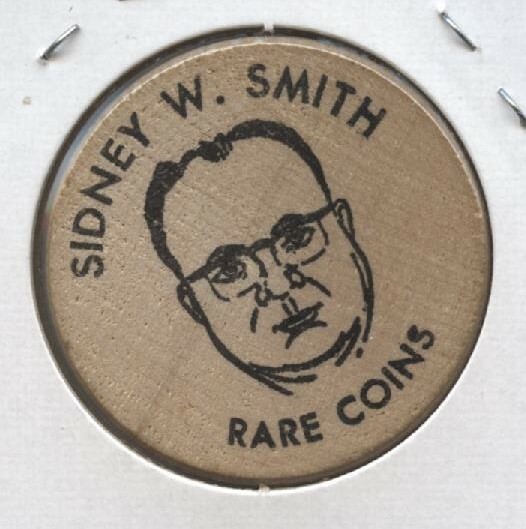 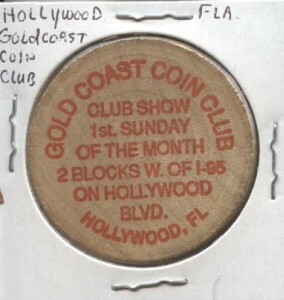 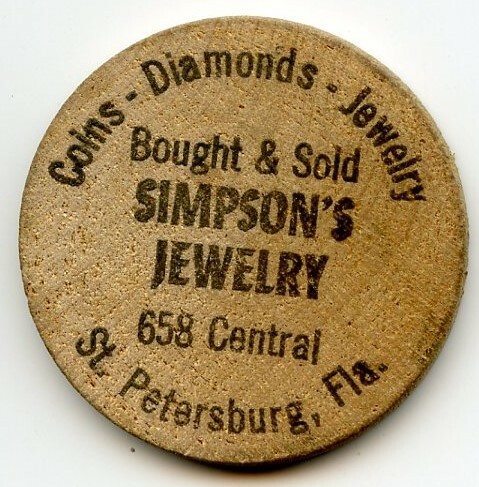 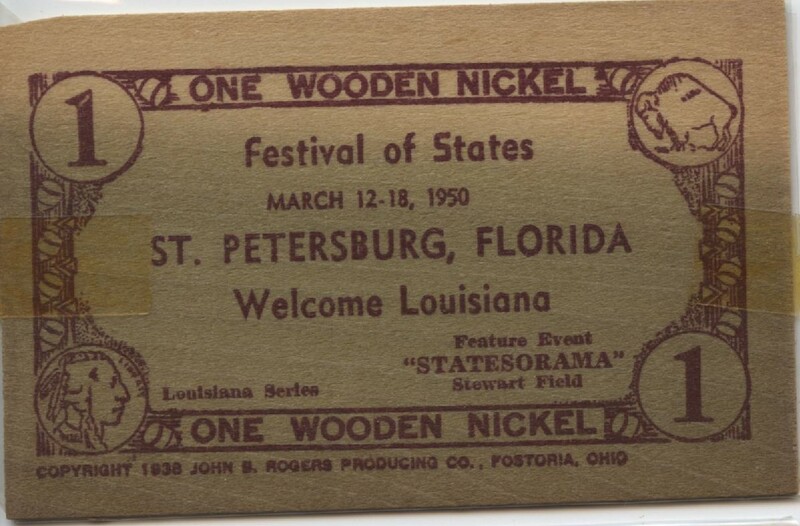 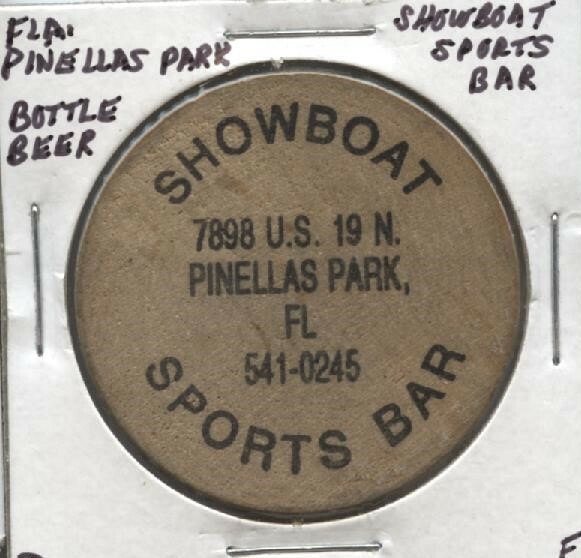 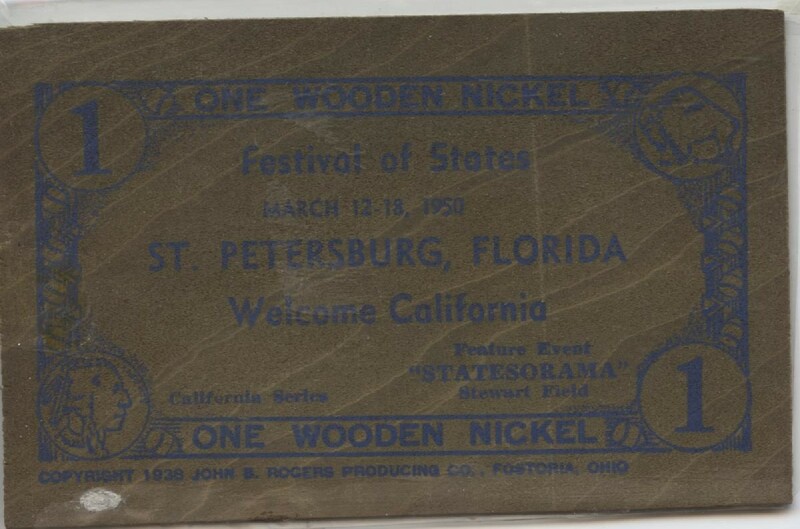 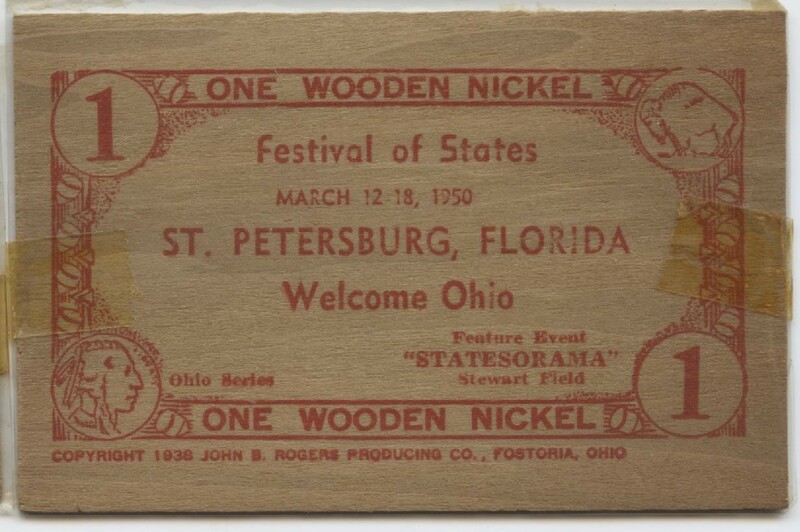 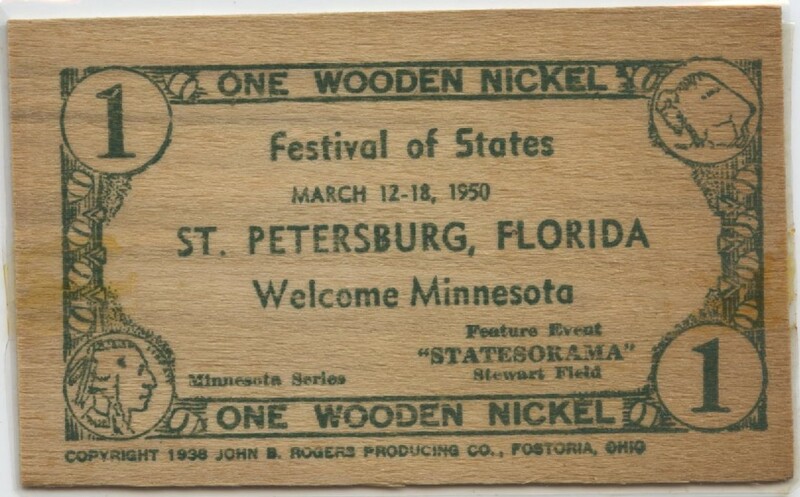 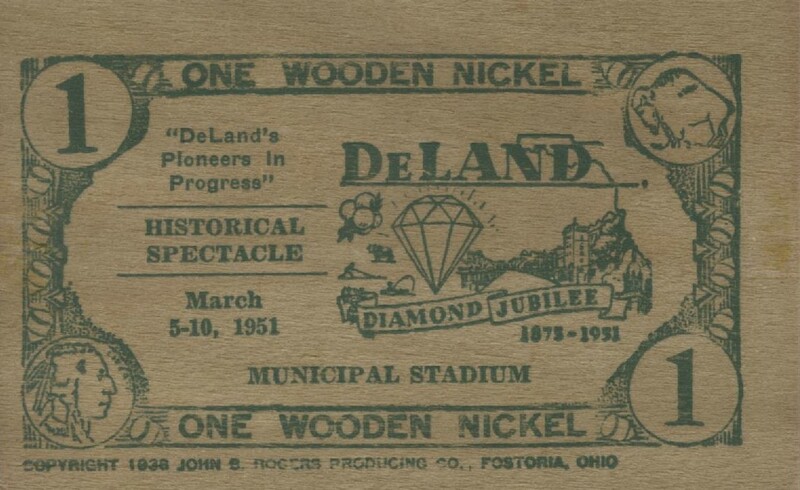 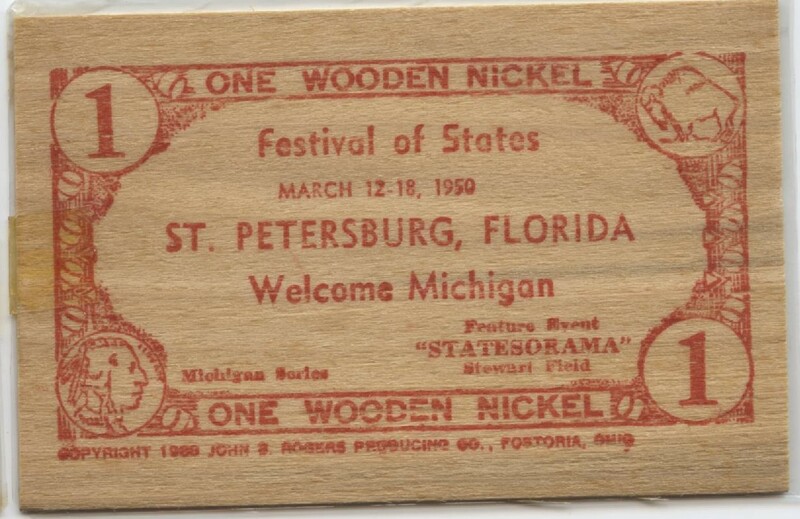 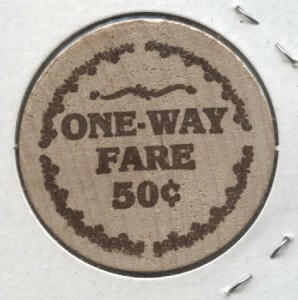 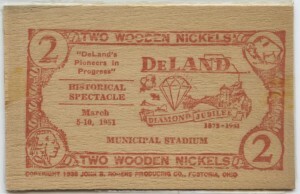 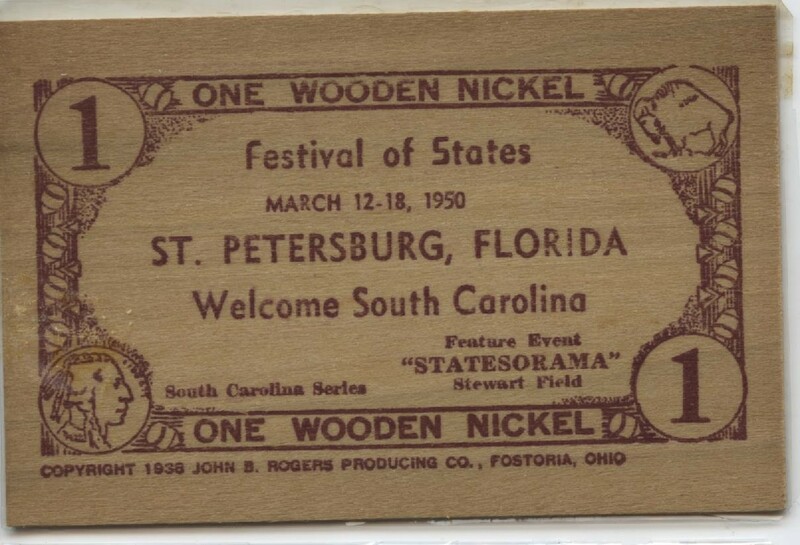 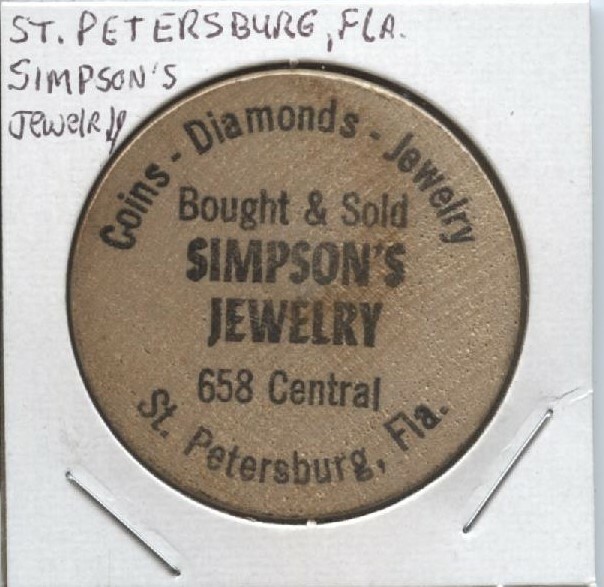 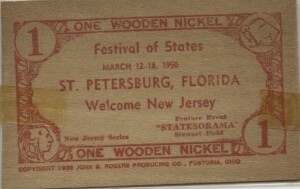 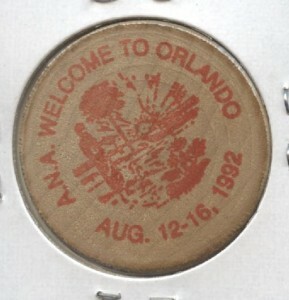 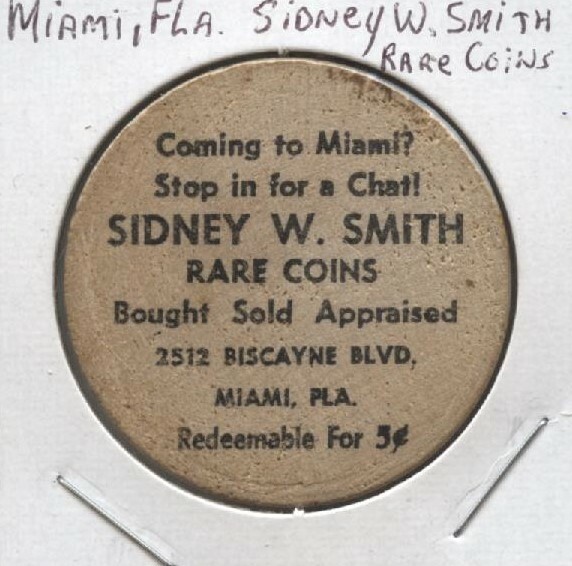 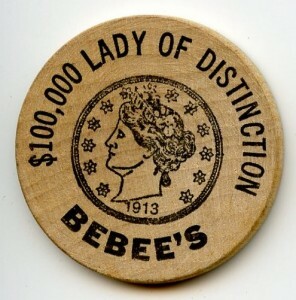 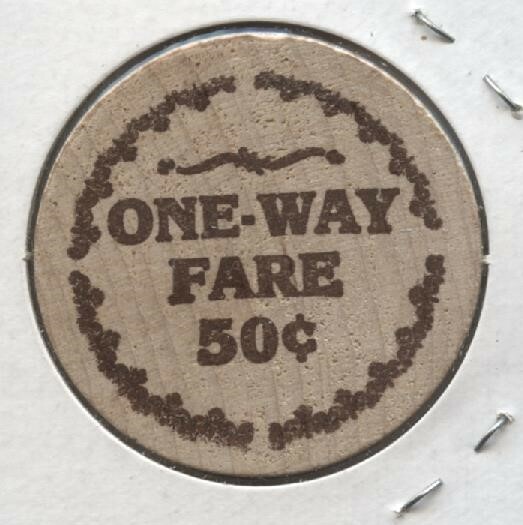 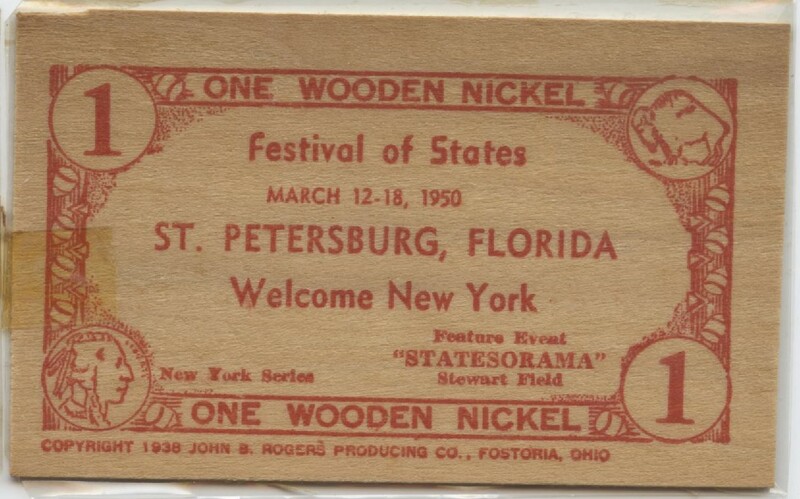 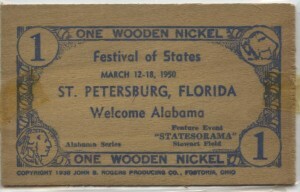 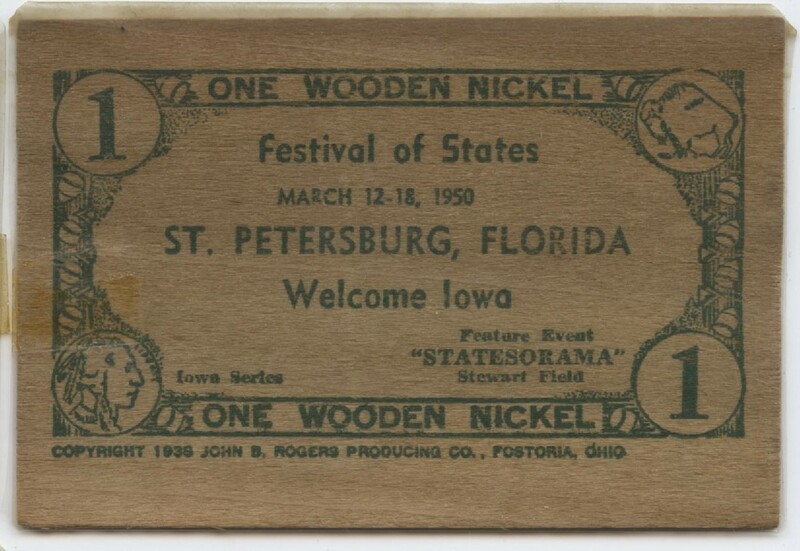 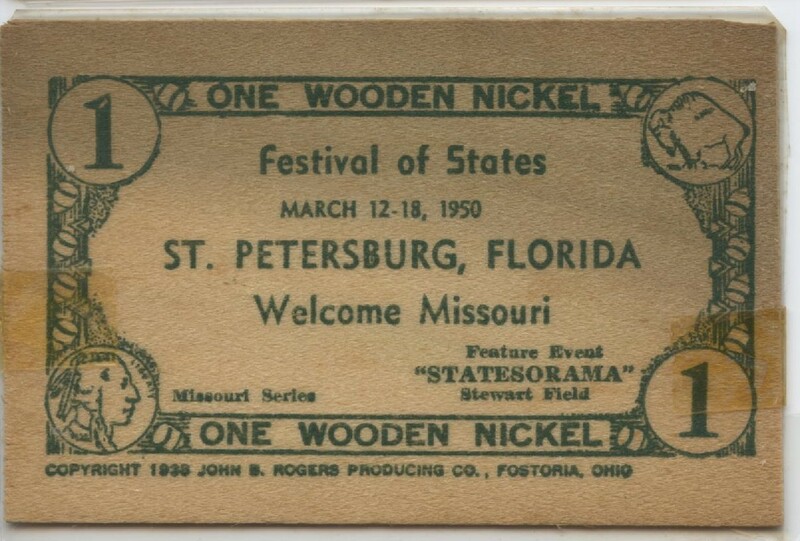 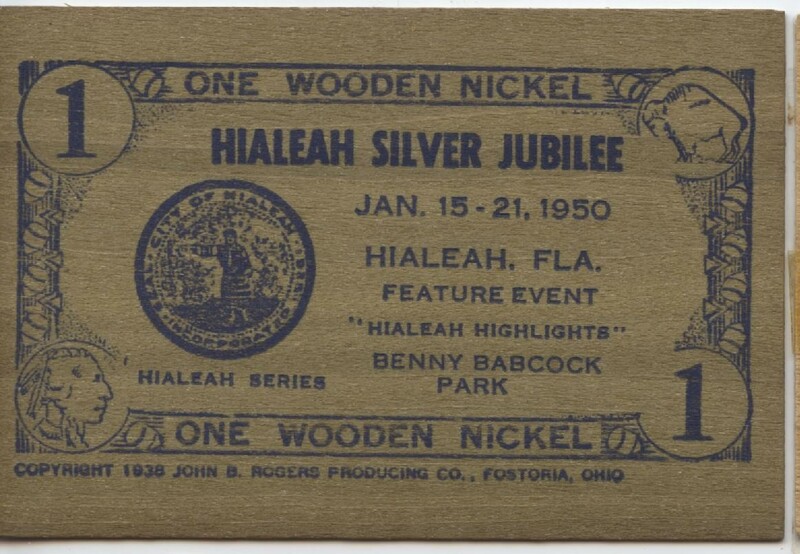 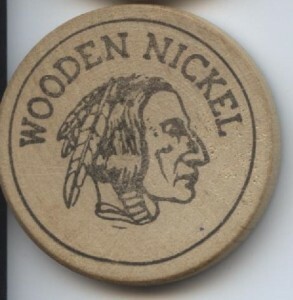 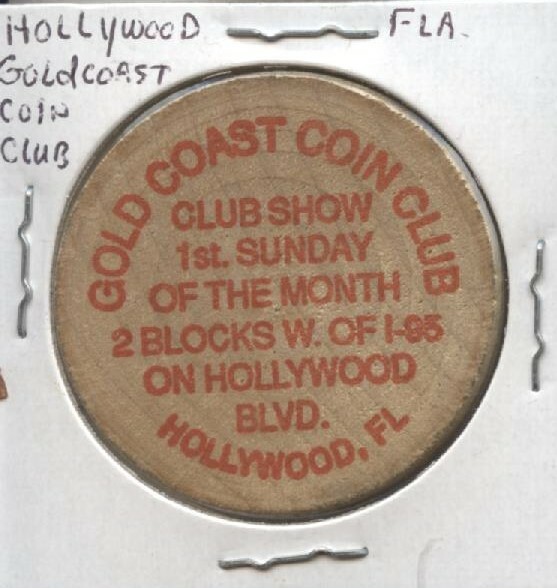 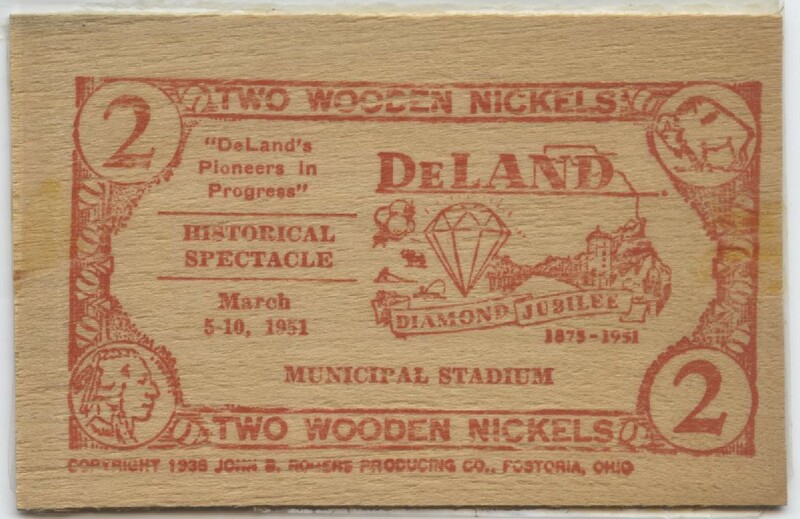 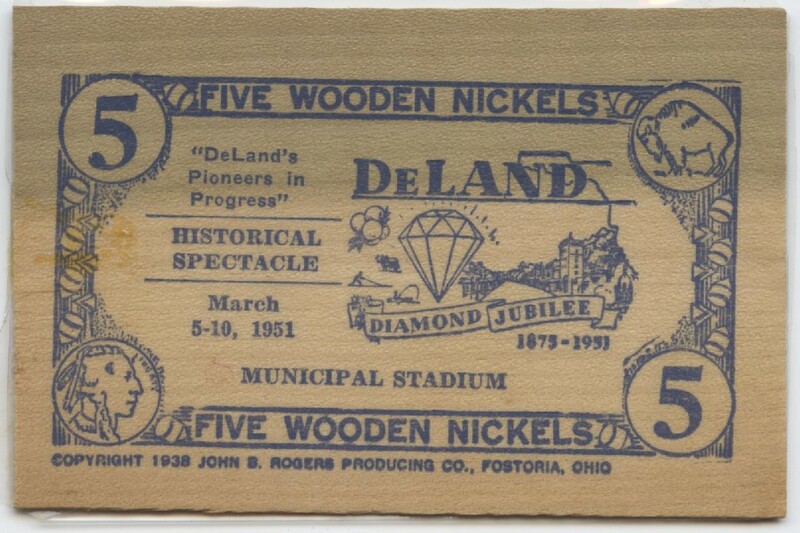 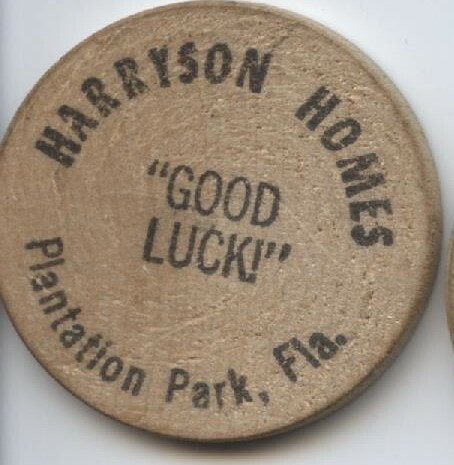 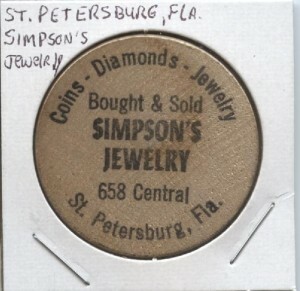 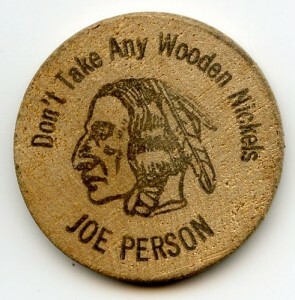 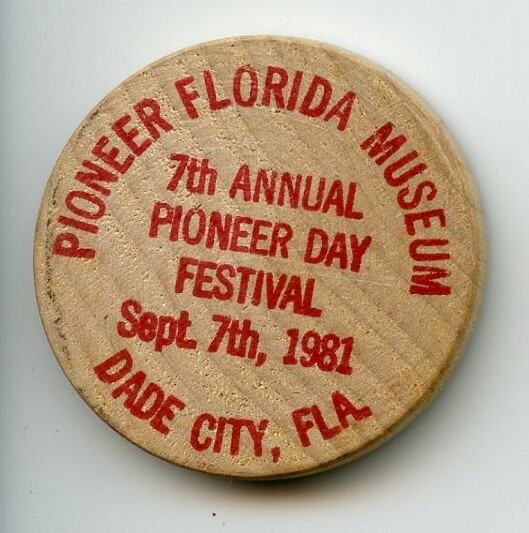 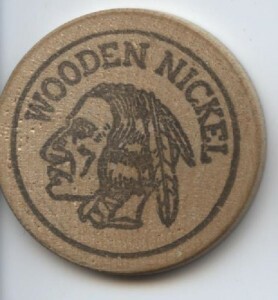 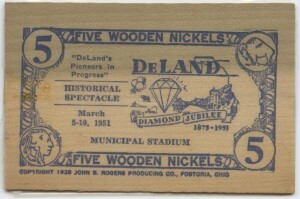 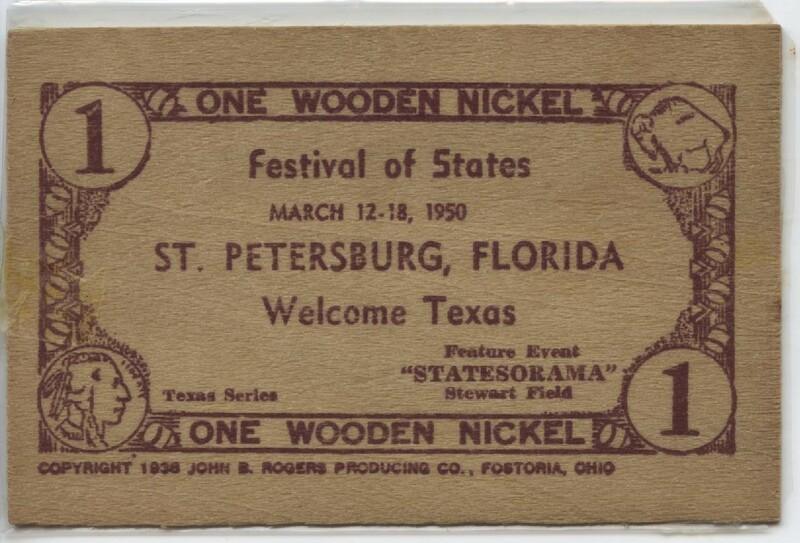 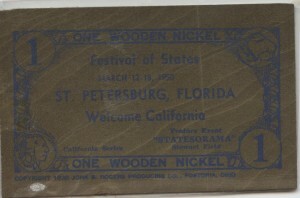 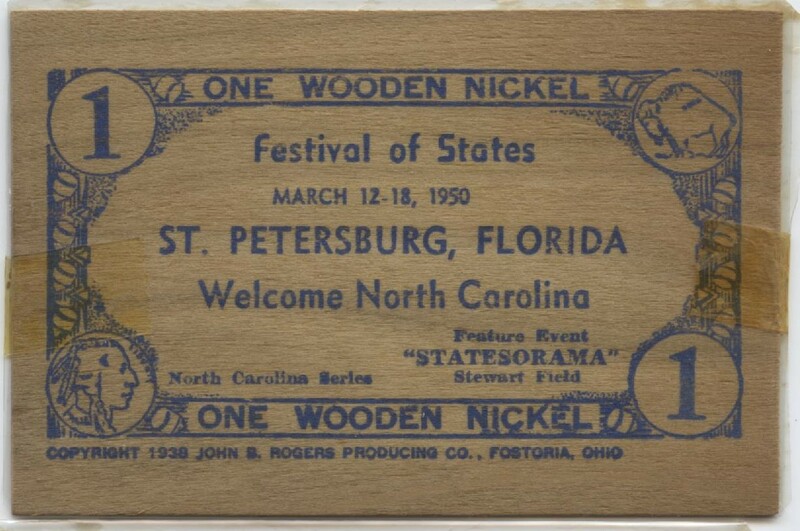 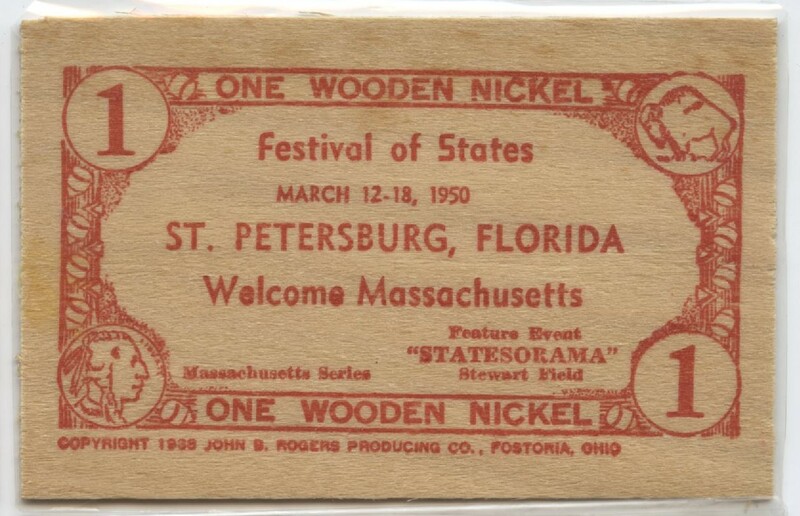 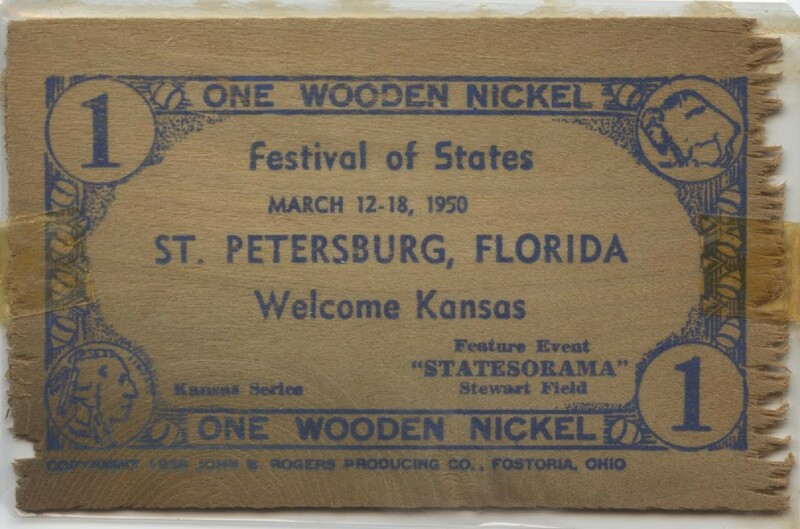 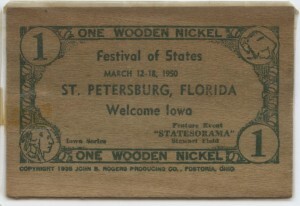 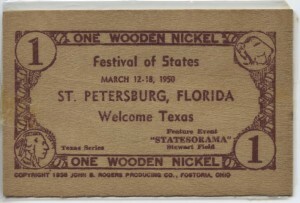 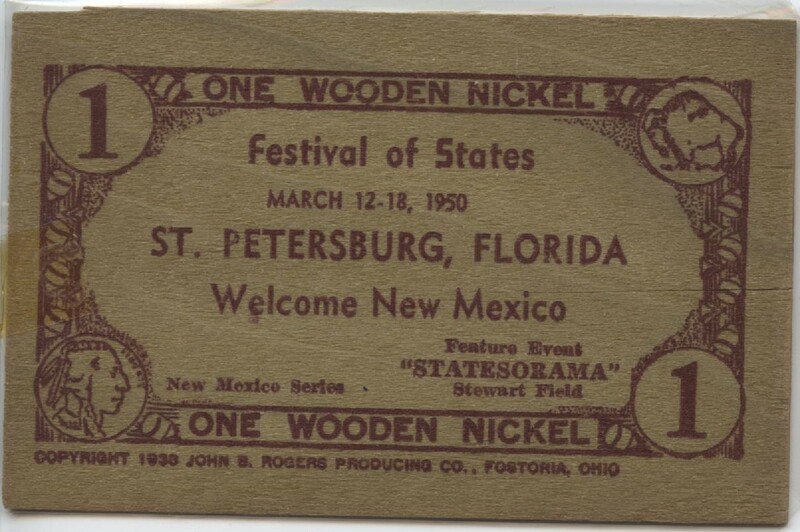 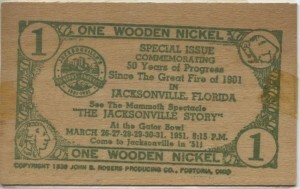 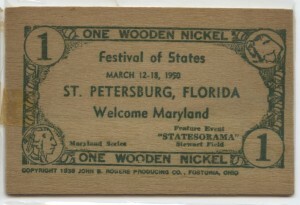 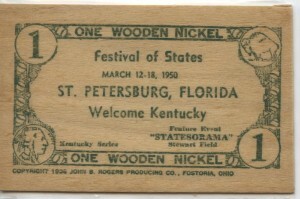 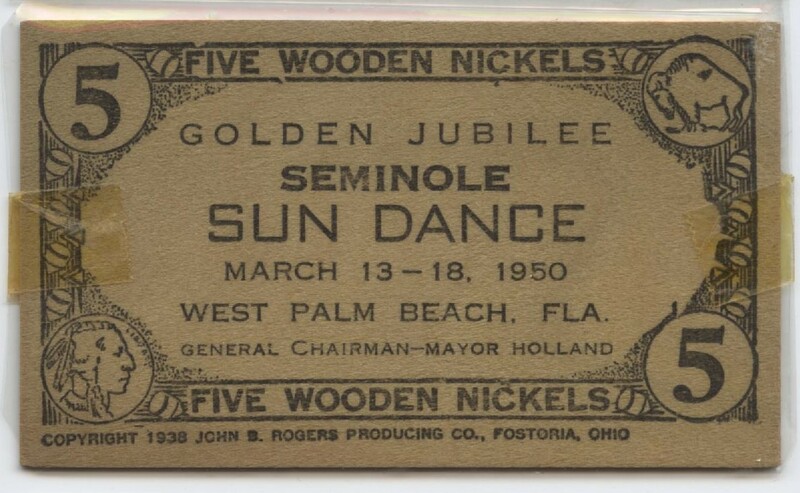 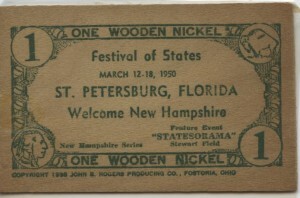 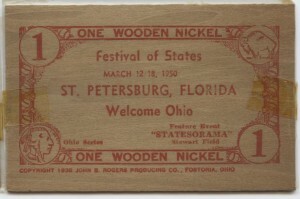 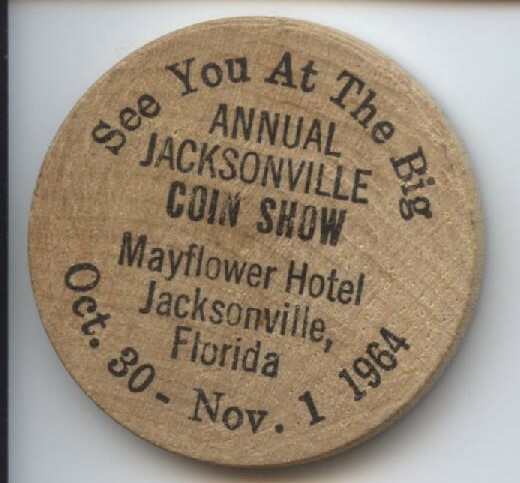 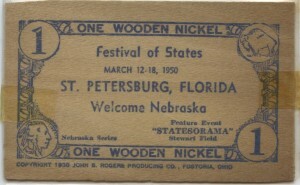 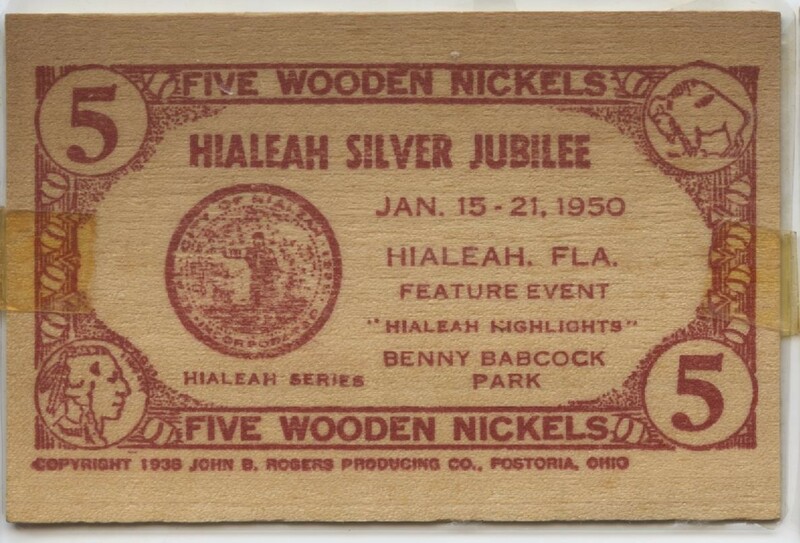 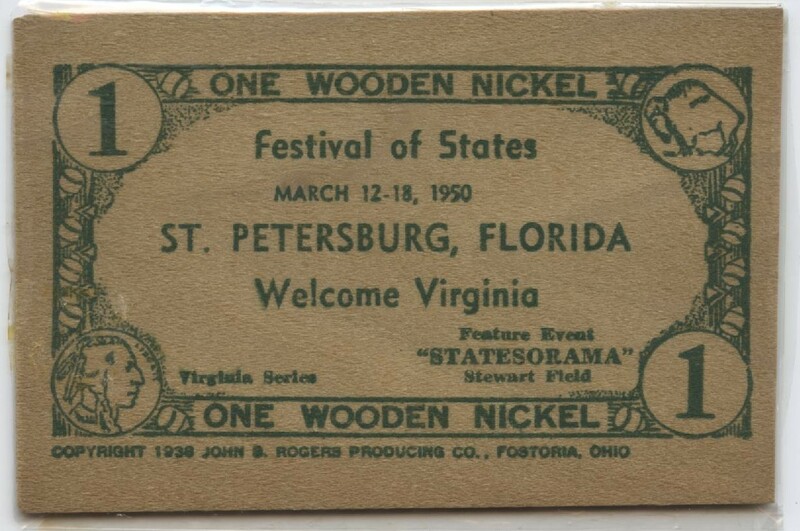 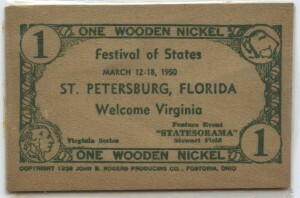 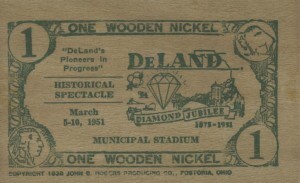 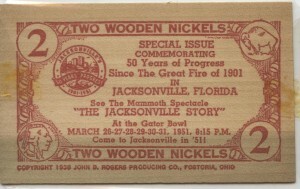 However, collectible wooden nickels have been mentioned in print since at least 1888. 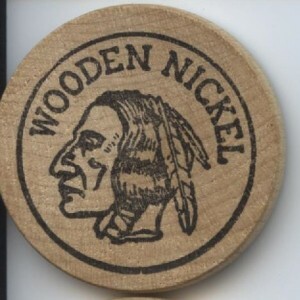 In more recent times wooden nickel trading has become more popular. 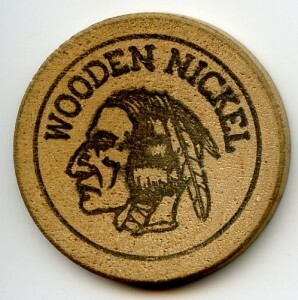 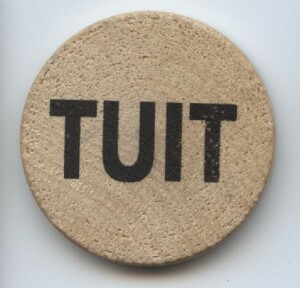 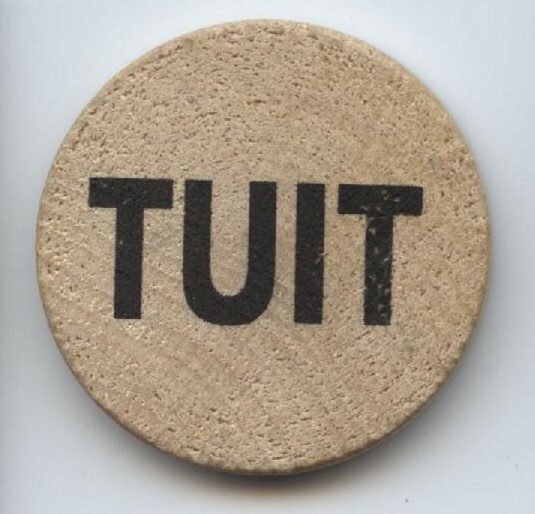 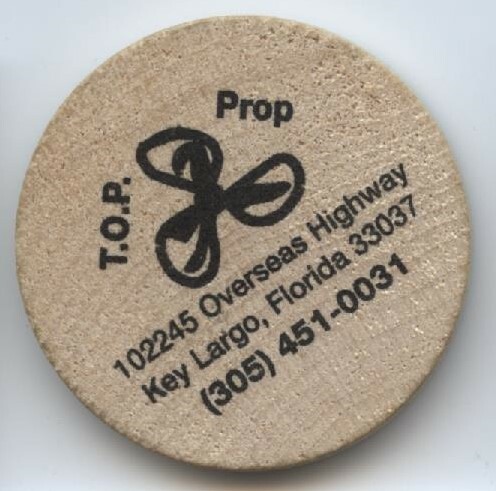 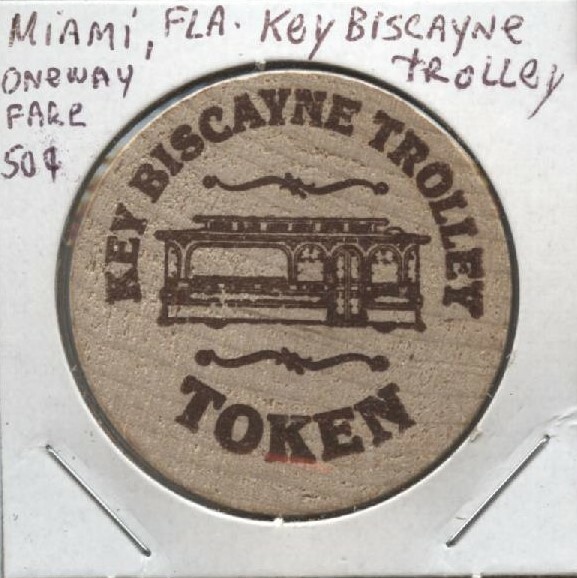 Individuals can have their own personalized token made and then trade with others who also have had their own made.